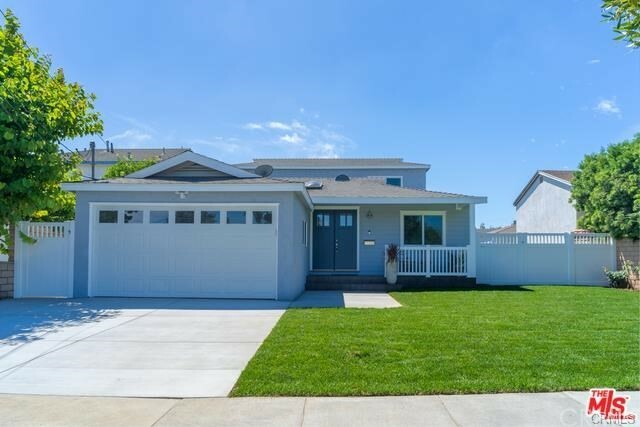 You’ll love this stunning home located in the heart of El Segundo. It is a completely remodeled two-story single family home that features 5 bedrooms and 3 bathrooms. Walk into the gorgeous open floor plan living room, dining room, and an upgraded kitchen with stainless steel appliances. The chef gourmet kitchen boasts a large pantry, and a spacious island with room for seating, perfect for Holiday parties! Find yourself relaxing under the covered patio next to an expansive lawn. Park your cars in the 2 car attached garage. This home is within short blocks to El Segundo's award winning schools, parks, library, shopping, restaurants, and Main Street!